Lamb in under half an hour? It can be done! On those nights when you’re craving lamb but don’t have the time to get slow cooking, these delicious recipes will easily fill that void. Our favourite quick lamb recipes use strong flavours and clever cooking techniques to help you serve up an amazing dinner in a fraction of the time. Rather than slow cooking big slabs of meat, smaller pieces will get meltingly tender in no time at all. 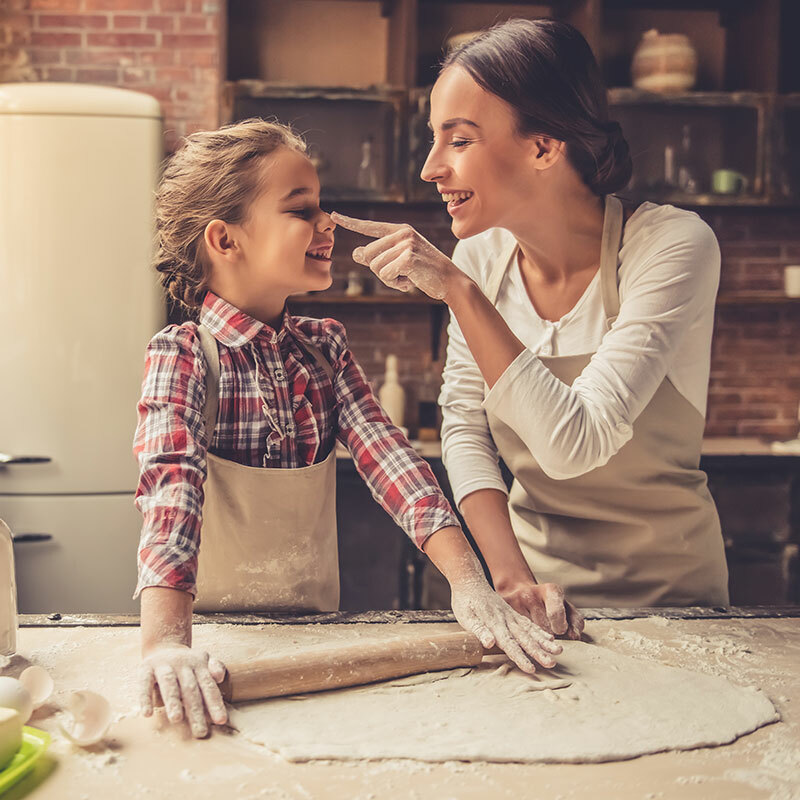 After a busy day of work, you might not have the time – or let’s face it, the motivation – to make every element of your dinner from scratch. So make the most of the ingredients you can get at your local supermarket to build an incredible dinner. 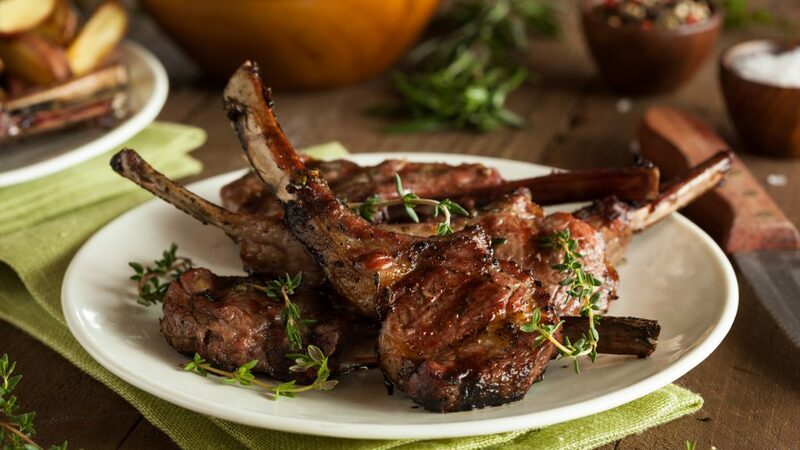 Lamb cutlets are a great lamb cut to cook with because they’re done in a matter of minutes. To cook crusted lamb cutlets, combine a finely chopped onion, 2 teaspoons of paprika and cumin, and 2 tablespoons of finely chopped fresh coriander, parsley and olive oil. Brush thickly over your cutlets and place on a tray under the grill in your oven. Cook for about 3 minutes on each side then pull out and rest for 3 minutes under foil before serving. Serve with lemon wedges, and a fresh salad. While we usually like our curries slow-cooked until the meat melts in your mouth, this quick versions uses a flavour-packed cut of meat in an unusual way for the ultimate weeknight wonder for two people. Season a lamb backstrap and rub all over with cumin and paprika. Cook in a hot frypan for about 3 minutes each side, then place to the side to rest under some loose aluminium foil while you prepare the sauce. Add some korma paste (follow the directions on the jar as the amount may vary between brands) to the same pan and pour in a tin of coconut milk. Stir to combine and simmer until it starts to thicken. Add cooked or frozen vegetables of your choosing, such as carrots, broccoli, peas or corn. Thinly slice your backstrap and add it back to the pan with any juices left behind and stir to combine with the sauce. Serve with rice, store-bought naan and a dollop of Greek yogurt. Lamb mince is another great alternative for when you want lamb flavour in a fraction of the time. Serve your Greek lamb kofte with pita bread, tzatziki and salad. Get more great mince recipes here. Don’t want a fridge full of vegetables to go to waste? A stir fry is a great way to use up whatever you have left, with beans, broccoli, snow peas, capsicum and carrot all making great additions. Make the flavours entirely your own with whatever you have on hand. Using a loin cut of lamb, thinly slice across the grain. Combine in a bowl with 2 garlic cloves, 1 teaspoon grated fresh ginger, 2 tablespoons peanut oil, 2 tablespoons soy sauce, 2 tablespoons hoi sin sauce and some chilli flakes. You can set it aside to marinate for 30 minutes if you have the time, or cook it right away. Cook the lamb until brown, add frozen vegetables such as snap peas, baby corn, capsicum and bean shoots. Serve with your favourite noodles. Hot meatballs are the king of sandwich fillings. Make meatballs by combining lamb mince with 2 cloves crushed garlic, 1 cup oregano leaves, 1 egg, and a finely chopped onion. Use wet hands to roll them into balls and cook in a frying pan over high heat. Grill some slices of capsicum and zucchini. Combine passata with a clove of crushed garlic and a teaspoon of harissa paste in your frying pan. Season with salt and pepper and a pinch of sugar to take away some of the acidity. Simmer for a couple of minutes until the sauce thickens up. Cut open thick, crusty rolls and place a layer of meatballs in each. Cover with slices vegetables and passata, top with your favourite melting cheese and place under a grill until melted.